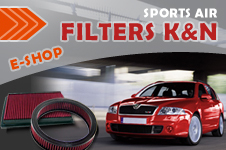 DIESEL TECHNIK offers Alfa Romeo chiptuning BMW with 24 months warranty on all performed work. Unlike the nameless garage tuners we guarantee 14 days money-back and guarantee the installation of engine into the original condition. Chiptuning of the engine of your BMW car means lower consumption and higher performance while maintaining the durability and emission parameters. All the modifications to the engine control unit BMW are conducted professionally and without risk of damage. After chiptuning the consumption of the BMW car can be reduced by 15%. Didn’t you find your car or motorbike? Contact us today to get best chiptuning offer!